2nd DUI in AL: What Happens After a Second Offense DUI in Alabama? The following list of highlights of a second DUI in Alabama provide an overview of what is discussed in detail below. Alabama laws on drunk driving, from alcohol or drugs, are much more punitive for a second DUI offense, than for a first-time offender. Alabama laws on suspensions and ignition interlock, plus additional jail time, are all part of the DUI penalties for a second DUI offense in Alabama. License Suspension/Ignition Interlock – License suspension of 1 year and requirement for installation of 24 months of an ignition interlock device (IID). First 45 days with no license to drive on, even if interlock is installed. Then, if the IID is placed on your vehicle after 45 days, the balance of the one-year license suspension may be commuted for the duration of the 24 months of the device. 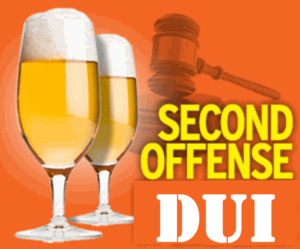 A second offense DUI within five years (of the first DUI offense) is a misdemeanor with a jail term of no less than five (5) days and up to 365 days in the county jail or municipal jail. A judge in an Alabama criminal court may allow a person convicted of drunk driving to perform 30 days of community service in lieu of the required five days of jail time. You should advise your DUI lawyer which option you desire to request from the Court, assuming that you have no way to try to win the case at trial. On a second DUI offense conviction, the accused must be fined not less than $1,100 and not more than $5,100, under Alabama DUI laws. Additionally, his or her driver’s license will be suspended for 1 year, and he or she will be required to attend a court-ordered substance abuse treatment program. Alabama DUI law measures prior first DUI offense by using a five-year “lookback” period, which means that a DUI second offense within 5 years has increased DUI consequences. Hence, 2nd DUI jail time, or felony DUI jail time would be significantly greater, if the driver was not facing a DUI 1st offense in the last 5 years. 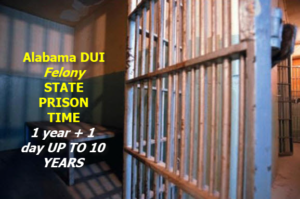 Jail Time for Alabama DUI: How Long Do I Stay in Jail for DUI 2nd Offense? Upon any 2nd DUI in Alabama conviction, the Judge sentences the driver, after conviction (by negotiated plea or jury verdict). Under DUI laws in Alabama, the presiding Judge has wide sentencing discretion, so that your bad behavior during the arrest process, or having excessive and dangerous BAC levels, or for having one or more children in the vehicle, are highly likely to trigger a more severe sentence on a second DUI. The convicted DUI 2nd driver may be given a jail sentence of from 5 days minimum up to 365 days in the county jail or municipal jail. 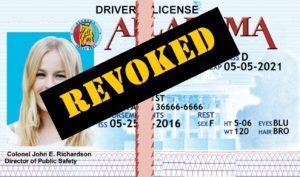 Additionally, the convicted Alabama DUI driver will be required to pay a fine of between $1,100 and $5,100, under applicable minimum, mandatory Alabama DUI sentencing laws. For most of our clients facing a repeat offense driving while intoxicated charge, jail time for 2nd DUI is their number one concern. Hence, the DUI lawyer Birmingham AL from the Polson Law Firm (Mark or Whitney) will be prepared to offer any mitigating evidence for our clients second offense DUI cases. The person convicted of an Alabama impaired driving charge also will be ordered to attend a court-approved substance abuse program (licensed by the state of Alabama). Out of state residents may be able to have the substance abuse evaluation and any mandated substance abuse treatment sessions performed in their state of residence, but be certain to obtain the guidance of your Alabama DUI lawyer before taking a course that may not meet Alabama DPS standards. Our DUI attorneys have made connections with a DUI lawyer in virtually every state in America and can get these answers for you. While we know Alabama DUI laws and can precisely outline Alabama DUI penalties, for any out-of-state licensee, we will call upon our long-term, national connections with DWI lawyers and DUI attorneys in all states. Alabama’s “look back” period under Alabama DUI laws is five years. This means that if a person has only a first offense DUI, and the day that he or she is convicted of the second offense DUI is more than five years after the date of conviction for the first DUI offense, he or she will be sentenced within the minimum and maximum range of punishment as a person with a DUI first offense in Alabama. However, if the second offense DUI conviction is within five years of the date of the DUI first conviction, he or she will be punished for 2nd offense DUI, as a second-time driving while impaired offender in Alabama. Drunk driving defense has been a cornerstone of our Birmingham DUI attorney practice for almost half a century. When it comes to Alabama DUI, the central issue for both DUI defense attorneys at Polson Law Firm is how to beat a DUI. 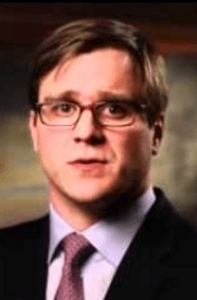 This book by Birmingham DUI attorney Whitney Polson recaps little-known DUI defense strategies that have helped Mark Polson and Whitney Polson carve out a reputation for expertise in DUI defense. 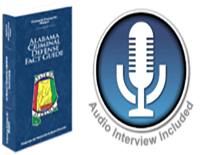 The drunk driving book, written in 2016 for DUI defense lawyers, lists over 900 important cases on Alabama DUI law. 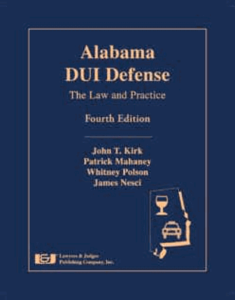 This is the reason that Birmingham DUI attorney and Alabama DUI law book co-author Whitney Polson and his father, Mark Polson, an expert of Alabama DUI laws for over 40 years, fight so hard to prevent even a first offense DUI from being on your Alabama driver’s license. By never having a DUI Alabama at all, this is the best possible outcome. The Birmingham DUI lawyers are ready to take action to save your driver’s license and look for answers on how to get out of a DUI in Alabama. 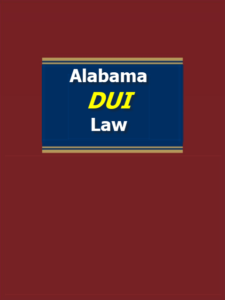 If you or a loved one has been arrested for an Alabama in DUI, please contact DUI lawyers in Alabama who know DUI law Alabama at once to get fully informed about Alabama drunk driving laws. Call our qualified Alabama DUI defense lawyers for a FREE lawyer consultation. Birmingham DUI attorney Mark Polson or his son, Whitney Polson of Polson Law Firm, can drive to your location to meet, if an accident has sidelined you temporarily. 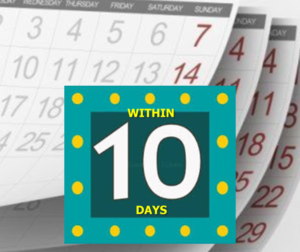 Since you must appeal the pending administrative driver’s license suspension within 10 days, you need to ACT QUICKLY. Our Birmingham DUI lawyers fight Alabama DUI charges across the entire State of Alabama, as well as other misdemeanor or felony criminal offenses. Don’t put an Alabama DUI on your criminal history without exploring your chances to get the DUI dismissed, or seek a negotiated plea deal for a DUI reduced to reckless driving.